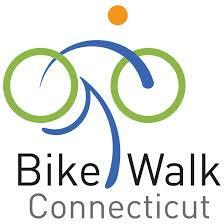 The 2015 Connecticut Bike Walk Summit presented by Bike Walk Connecticut was held on Thursday, April 23 and Friday April 24 at the Keeney Memorial Cultural Center in Old Wethersfield. In 2015, there was a strong focus on municipalities and organizations looking to create bikeable and walkable communities in Connecticut. Thurs., April 23, 2015: NACTO Bikeway Design Guide Workshop for professionals, led by Roger Geller, Bicycle Coordinator for the city of Portland, Oregon. Geller will facilitate an all-day bicycle facility workshop for planners, engineers and public works professionals in state and local government, RPOs, and the private sector. The workshop will focus on the NACTO Urban Bikeway Design Guide, which provides cities and towns with state-of-the-practice solutions that can help create complete streets that are safe and enjoyable for people bicycling.